Browse > Home / Top Stories / Why Are Your Bank Fees Going Up? Bank customers are getting a double whammy thanks to all the bank failures. Not only did we shoulder the costs of the bank bailout as taxpayers, but now as bank customers we get to pick up the tab for the failed banks with higher fees. The federal agency that insures bank deposits is the Federal Deposit Insurance Corp. or as it is commonly called the FDIC. The FDIC receives NO taxpayer money. It is funded by premiums paid by participating banks and all banks must participate. Those premiums are now going up to help cover the enormous cost of all the recent bank failures. And, if you guessed that increase will be passed along to consumers, well, you guessed right. Banks fees for customers are on the rise, too. Far and away, the most profitable fee for most banks is the “overdraft fee” charged for debit card and checking account overdrafts. In fact, 45% of the nation’s banks make more from overdrafts than they make in profits from all other areas. Yes, as unfair as it sounds, bank customers living from paycheck to paycheck who sometimes overdraw their accounts are shouldering most of the bank bail-outs. The simple rules of spreading risk and building up a rainy day fund were botched by Congress. Congress requires the FDIC to have reserves that are between 1.15 percent and 1.5 percent of total insured deposits. To do this, the FDIC collects premiums based on a bank’s total deposits and certain risk factors. Until 13 years ago, all banks paid in to fund the reserves. Beginning in 1996, Congress changed the law to require the FDIC only to collect insurance premiums from banks considered at risk, because of weak capital or dangerous lending practices. As a result, the fund ended up with no savings for a rainy day. Everything was all sunny when there were no bank failures in 2005 and 2006. Even 2007 was a pretty good year, with only 3 bank failures. But the perfect storm was brewing, and the FDIC would soon be caught in a tsunami without a rain coat. In 2008, twenty-six banks failed and nearly depleted all of the FDIC’s reserves. Then, the banking collapse of 2009 hit. By September fourth, 88 banks had failed, and it is predicted that by the end of the year there could be more than a hundred bank closures. To replenish needed reserves, in 2007, all banks were once again required to pay premiums to the FDIC. That was still not enough, so Congress recently approved an increase in the premiums. The dramatic increase in premiums is best illustrated by premiums paid by a moderately sized bank in Michigan — the Bank of Ann Arbor. In 2007, the Arbor Bank paid $137,000 in FDIC premiums. In 2008, the premium increased to $413,000, and the bank estimates it will pay more than one-million dollars in FDIC premiums in 2009. There are two ways for the banks to pay for the newly started and increased FDIC premiums. One is to lower dividends to shareholders. The other is to increase fees to its customers. Guess which one the banks chose? Not surprisingly, the answer is customer fees. A survey conducted by Moebs Services, an independent and nationally recognized economic research firm, was just released. 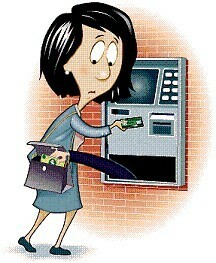 It found that that overdraft (OD) charges increased by 4 percent last year. They rose from $25 per OD in 2008 to $26 per OD in 2009. Mike Moebs, CEO of Moebs Services said, “This is the first time in our 22-year history of collecting this data that we have seen OD fees increase during a recession.” Four-percent may not seem like much, but based upon 2008 OD charges, this amounts to more than a billion dollars in additional income to the banks to help pay those pesky FDIC premiums. Yes, that’s right. The same institutions that received billions of dollars in government bailout money and inflicted untold financial pain on workers, have found a new way to get blood from a stone . Increase bank fees on those least able to afford it. Somehow it makes sense to banks to squeeze the very customers who are having a difficult time making their house payments and putting food on their family’s table. Who Pays for the Massive Oil Spill Clean-Up in the Gulf?